Earn 62 loyalty points, worth £3.10, with this purchase. 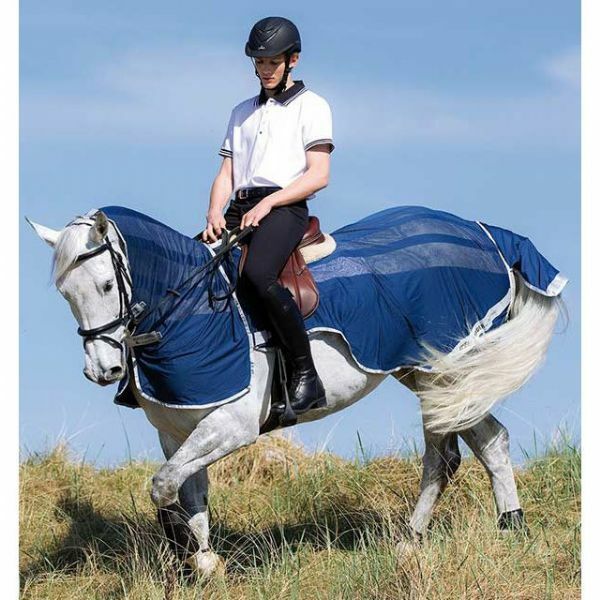 The Horseware Amigo Fly rider is made from a super lightweight and breathable skrim fabric and is ideal for hacking, exercise, or warming up at events etc in the hot summer months. It features easy release closures, a removable shaped hood and reflective strips for safety. It is cut around the saddle, to be inserted between the bottom and top flap to ensure security when riding.